We are at the Beaconsfield office on Mondays! Nous sommes au bureau de Beaconsfield les lundis! New Patients, initial consultation in Westmount only. Nouveaux Patients consultation initiale à Westmount seulement. WELCOME TO DR. KAREN O'REILLY CHIROPRACTIC CENTER! Welcome... thank you for visiting our wellness office. The care is designed for you to have access to more of you while accelerating your healing and recovery from injury, chronic illnesses or limited states of well-being. 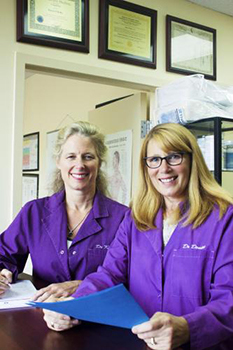 Dr. Karen O’Reilly and Dr Denise Perron, chiropractors, have each been in practice for 30+ years. They offer chiropractic care to improve the triangle of health. The nervous system is complex, keeps us alive and responding to our environments. We require the nervous system for incoming and outgoing… to perceive, receive, interact and act in the world, to survive and thrive. Our nervous system allows us to smell, taste, see, hear, feel, move toward or away, love, be calm, please, say no, negotiate, express ourselves, appreciate life, nature, those around us and have compassion. If your nervous system is compromised, any of those and more of your senses can be diminished or oversensitized. 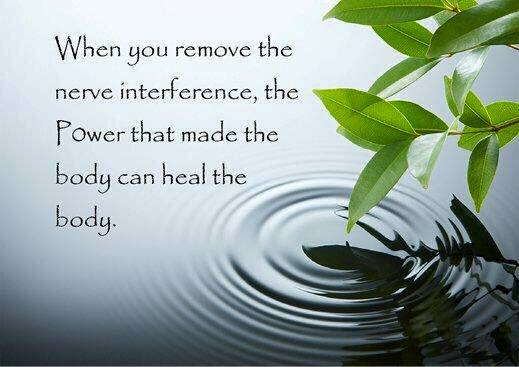 The body innately knows how to heal and self-right, provided we allow it and follow its capacity to shift. The doctors “upgrade” the nervous system, if you will, and resource you with tools as you journey to more wholeness. Our aim is to facilitate you with the difficult and uncomfortable symptoms while unraveling the root causes. We rebalance the nervous system which allows you to improve your health and maximize your potential. 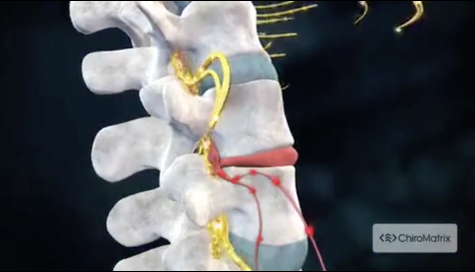 Our team is well trained to evaluate and care for your nervous system and fine tune your body. At your first visit, the doctors will explain how chiropractic care works and give you a full evaluation to see if our care are a good fit to address your needs. If so, then we customize a plan of care for you to achieve your health goals. 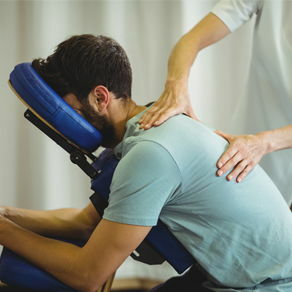 If you have not been to a chiropractor or would like to find out more about us, please call 514-489-0008 or email us to receive answers to your questions from our experienced team. We welcome referrals and invite you to click on the "send to a friend" link to share our information with your friends and loved ones. If you would like to stay informed on the latest in Chiropractic care, this office or receive free articles about health and wellness, subscribe to our newsletter. If you test high on some elements, the doctors are qualified to evaluate further and treat you.